Santa panda will keep your gifts safe on Christmas eve! Lovely, fun Christmas stocking for a panda lover. Sturdy loop for hanging sewn in. Available in 3 different fabrics: 100% polyester. 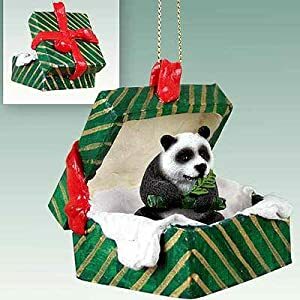 Panda Bear Gift Box Christmas Ornament – DELIGHTFUL!